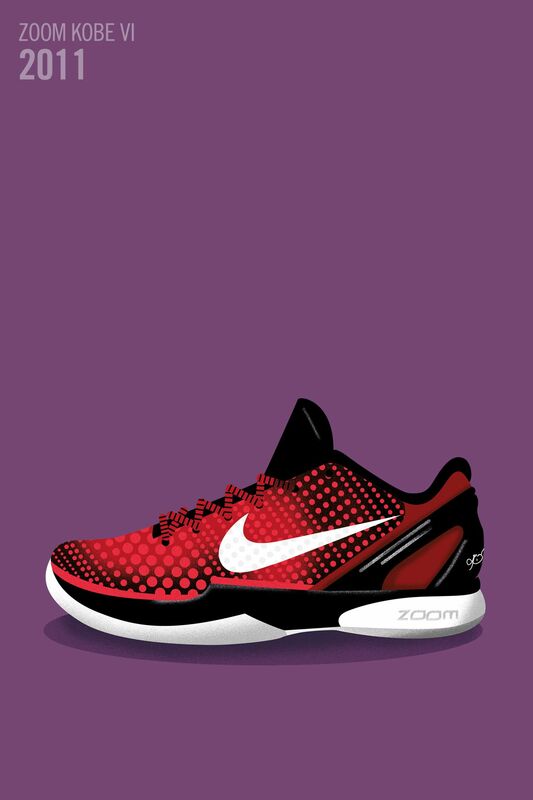 No one knows midseason competition quite like the Black Mamba. 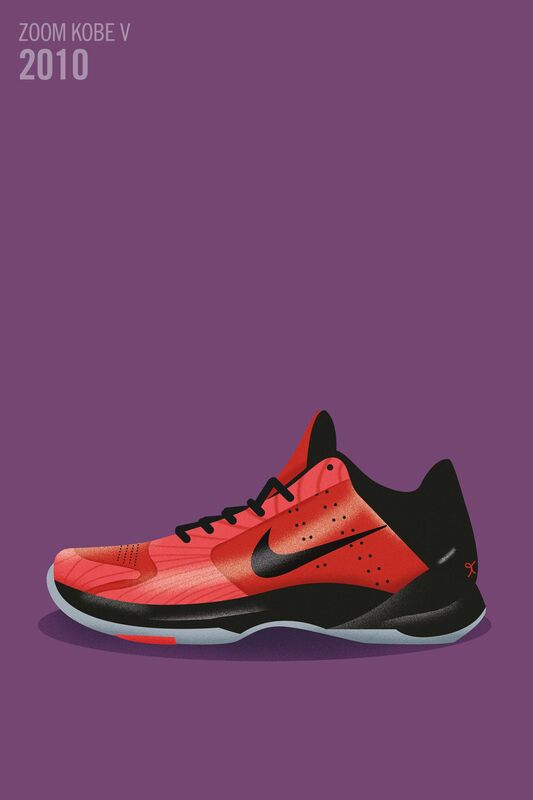 Kobe's legacy continues this year in Toronto, capping off a career of elite performances and unforgettable sneakers. 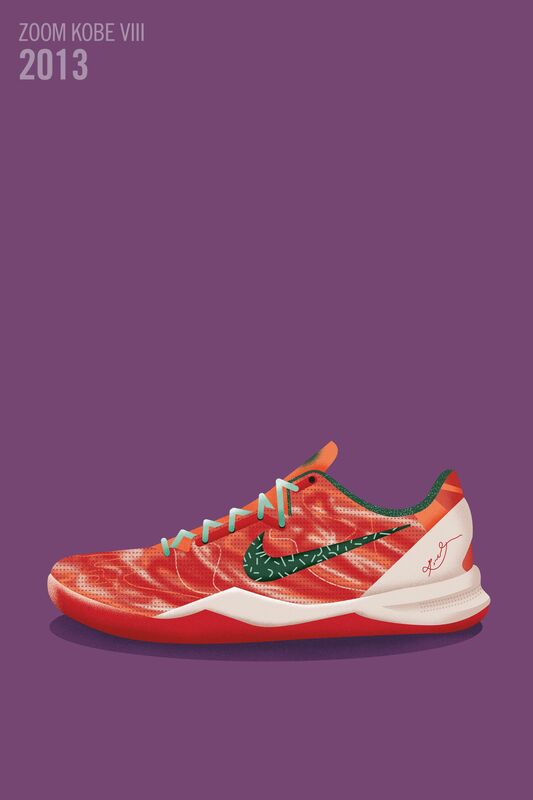 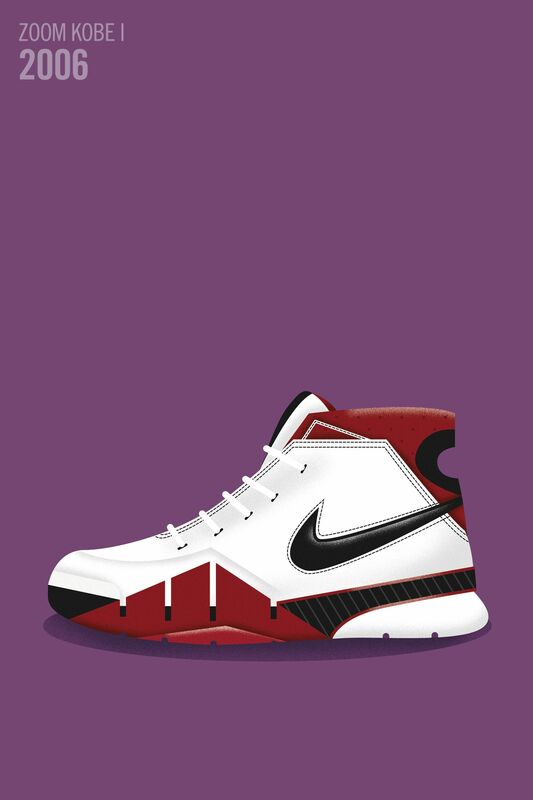 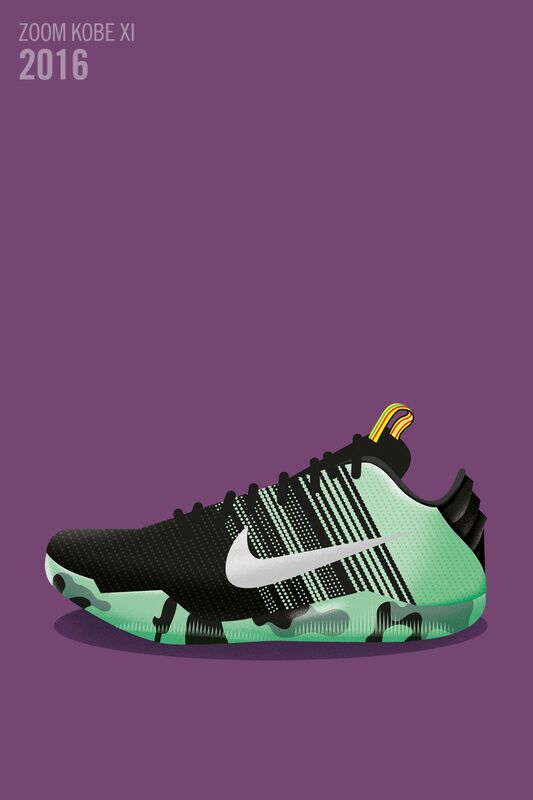 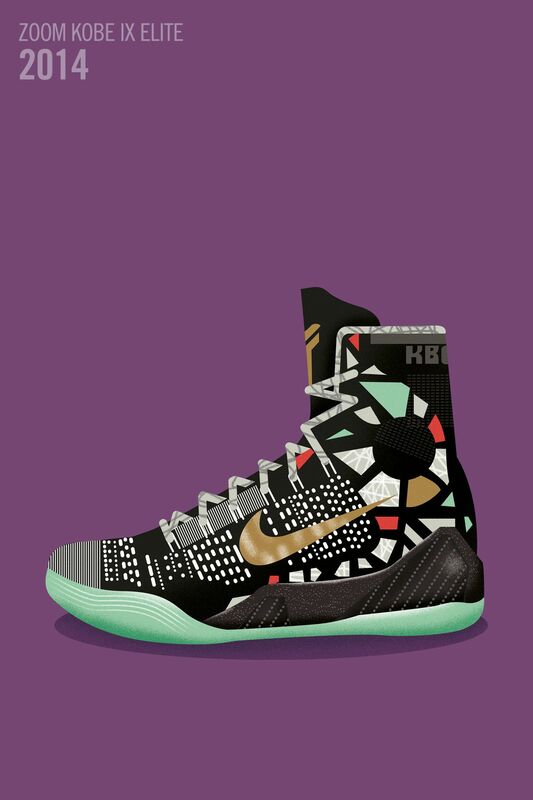 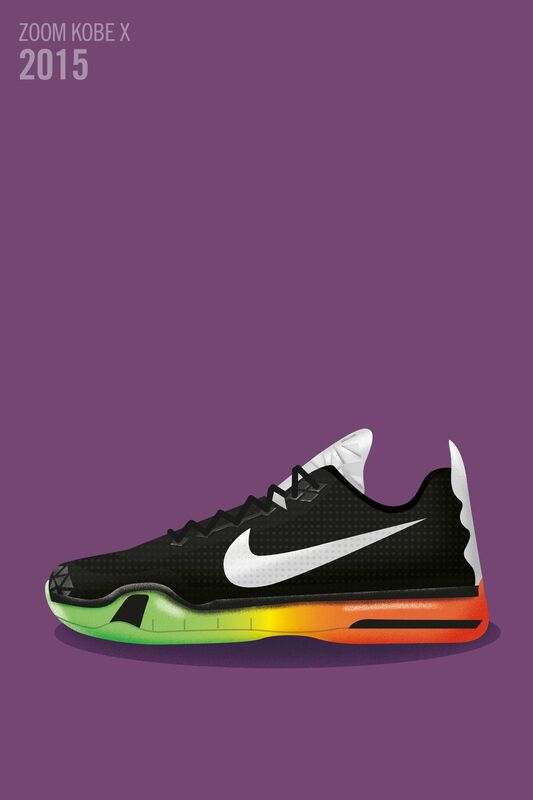 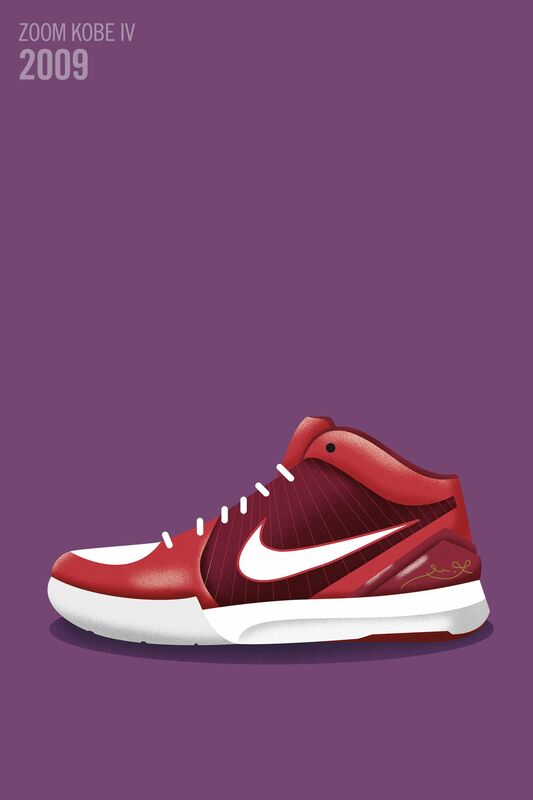 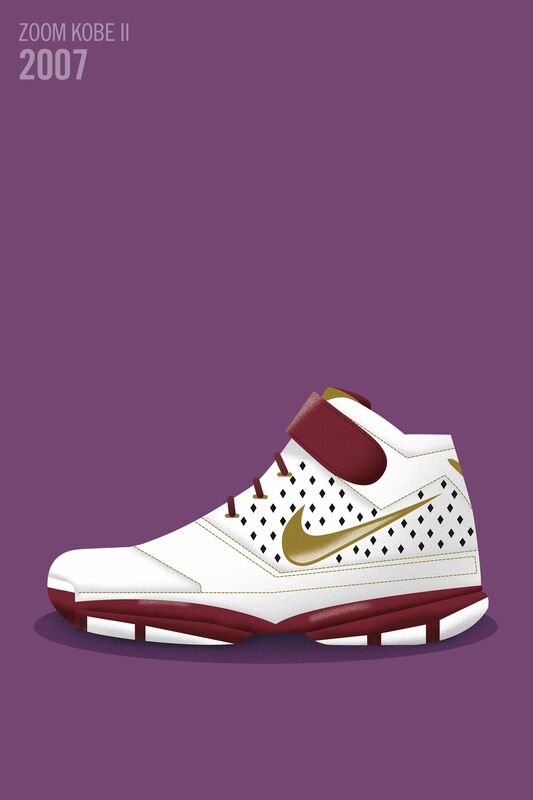 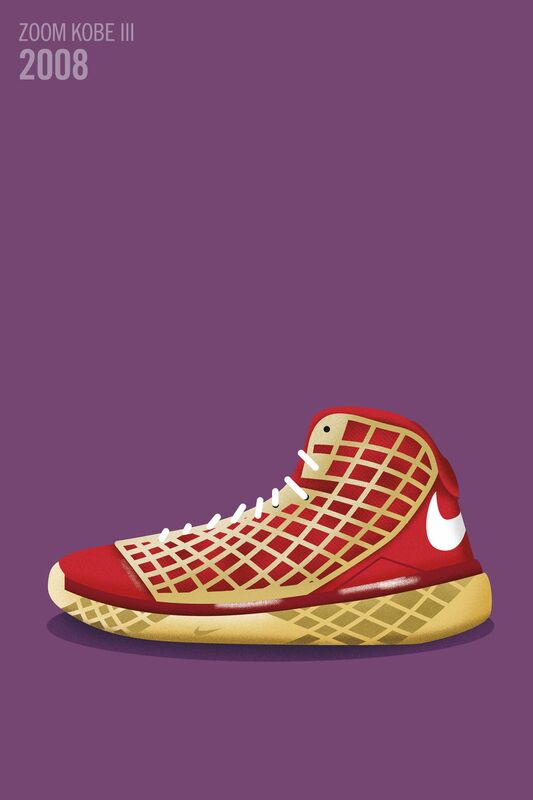 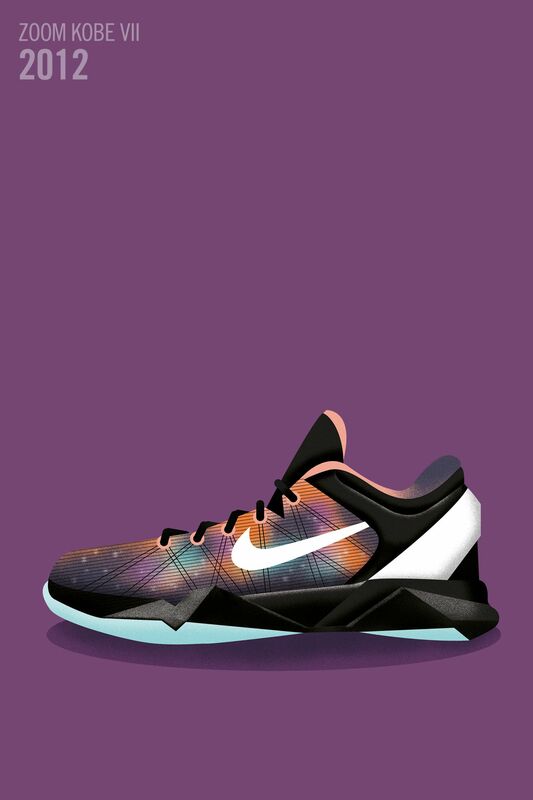 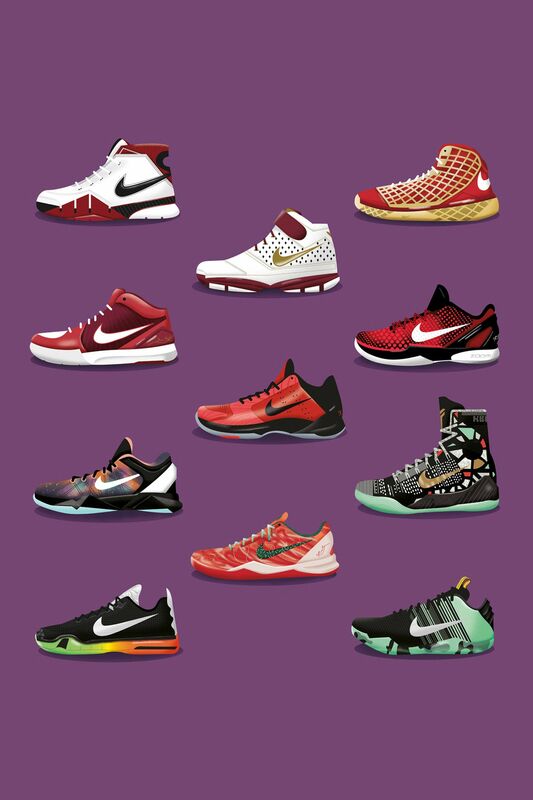 Artist Dale Edwin Murray re-imagines Bryant's shoes in his signature style, depicting Kobe's celebratory kicks over the years in winning fashion.